We have some groovy news for you. It appears as though we haven't seen, or at least heard, the last of Bruce Campbell as the legendary Ash Williams. And as they say, legends never die. Campbell is set to reprise his most famous role in an upcoming Evil Dead video game which, at this point, is largely mysterious. But the fact that we're getting more Ash is certainly a good thing. The news comes as part of a recent interview with Bruce Campbell. We last saw him as Ash in the series finale of Ash Vs. Evil Dead. Once it was announced that Starz had officially decided to cancel the series, Campbell announced his retirement as Ash, to the chagrin of a great many horror fans out there. Despite that, in this new interview, Campbell has revealed that he will be back, at least once more, voicing the character. Here's what he had to say about it. "Oh no no, that's different. I have previous obligations I have to fulfill. They are doing a video game. A whole immersive kind of dealio. I'll be Ash for that, because I wouldn't want someone else's voice hamming it up." 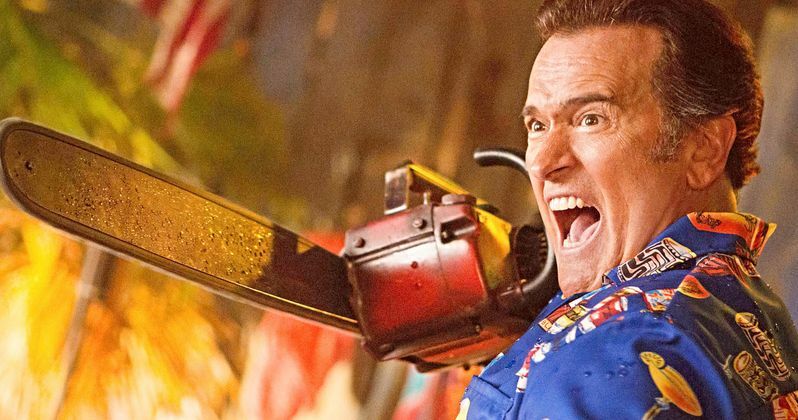 Back in May, Bruce Campbell had teased that there would be new iterations of Evil Dead on the way, despite the fact that Ash vs. Evil Dead season 4 didn't get picked up and despite his decision to retire. It looks like this new video game, whatever it is, is one of those new interactions he was talking about. It's also been teased by Fede Alvarez that Evil Dead 2, a sequel to the 2013 remake, could finally be getting underway in the near future. Details on what this game is going to be are virtually non-existent at the moment. The report indicated that it could be some sort of VR game, but that's about all we know for now. It's also not clear if it will be canon within the franchise or something just intended for the sake of fun. It's not going to be the first time that Bruce Campbell has voiced Ash for a video game. He previously worked on Evil Dead: Hail to the King, Evil Dead: A Fistful of Boomstick and Evil Dead: Regeneration. Even though we're likely to not see Ash back on the big or small screen, as portrayed by Bruce Campbell at least, this new game should help to ease the sting. Then again, who knows? The right thing could come along and convince him to change his mind. The fact that Ash vs. Evil Dead lasted for three seasons was nothing short of a miracle, quite honestly. But for now, Campbell is sticking to his boomstick on this one. Hopefully, we'll get some more info on the Evil Dead game in the near future. This news comes to us courtesy of Bloody Disgusting.